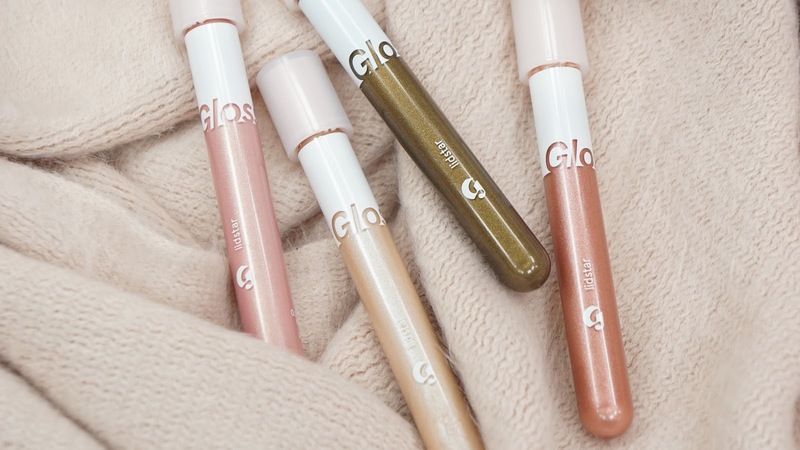 I guess I'm on a liquid eyeshadow roll since here's another post that will be featuring the recently released Glossier Lidstars! 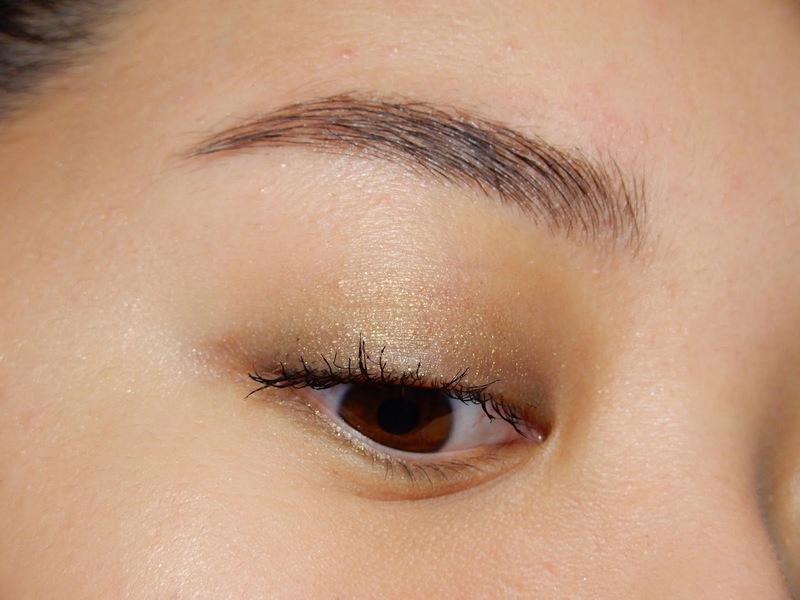 These shadows are supposed to be a "one-step eye enhancement" with a "wash of soft, glistening color that lasts all day." 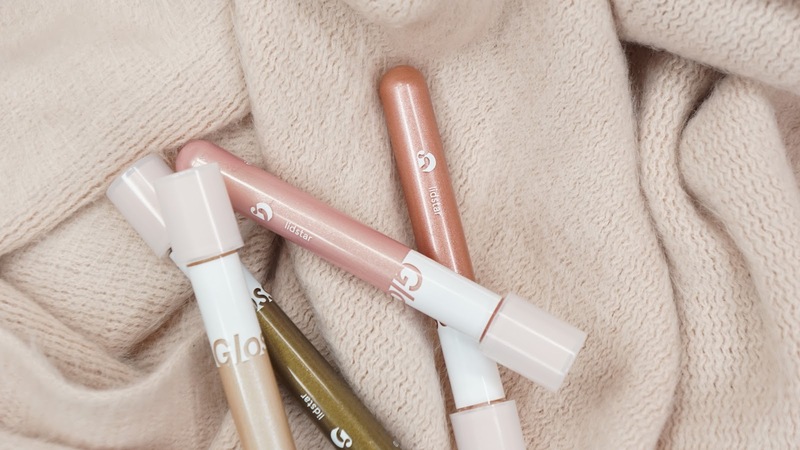 When the promo shots were released, I saw a lot of people worrying about these being outside of Glossier's norm of minimal/barely there makeup but I would say that they're still on brand and fit the "long-wearing eye glow" Glossier describes them to be. In this post, I'll be reviewing and swatching Moon, Slip, Cub, and Herb. Each tube contains 0.15 oz / 4.5 mL of product and retails for $18, but there's also a duo option for $30. The links are below! Disclaimer - I am a Glossier Rep and if you choose to purchase through my affiliate link, I do get a small percentage of the sale. Moon is described as "the sheerest cream base with blueish opalescent glimmer" and that's spot on. I kind of like it because it almost gives a wet or glossy appearance in some lights. The above look is basically the most I could build it up and so I wouldn't expect too much. Slip is described as a "a sheer baby pink with golden highlight effect." It's a little bit more pigmented than Moon, but it's so sheer that it's basically only a sheeny highlight at a regular distance away. The line at my lashline is because I couldn't get all of Moon off before applying Slip. I wish it could be as pigmented all over, but unfortunately it just stays as a wash of "glow" no matter how much it builds up. 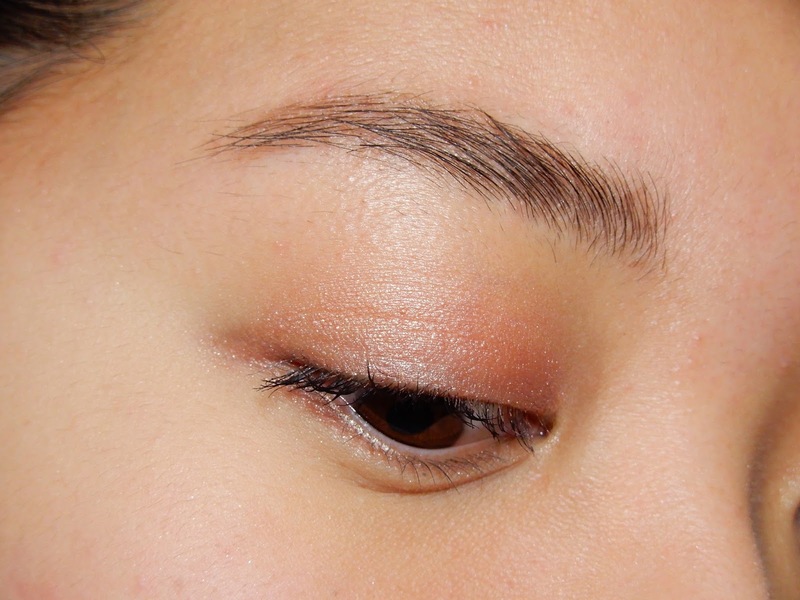 I feel like pink / golden duochrome shades are better as a powder product since liquid eyeshadows can be blended out so much that there's enough product to see the shift. Cub is described as a "rose gold with warm shimmer effect" and it's the best out of the four shades I purchased. It applies the most even on the first go and takes very little effort to make it look beautiful. It's a touch of color that's not too pink and gives me a "Glossier" look - barely there to naturally enhance what I already have. 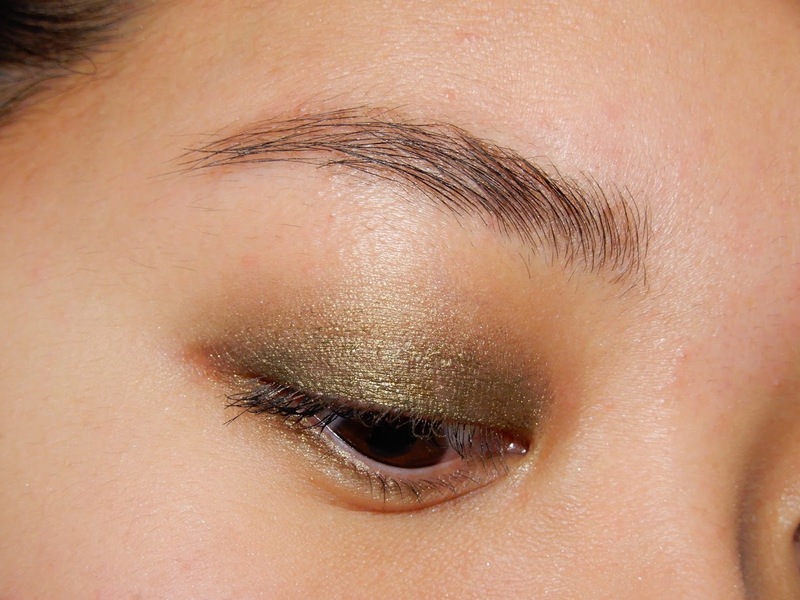 Herb was the shade I was most excited about and is described as a "smoky green with yellow gold pearl." It can be built up like what I show above, but because of the darker shade, it's more obvious when it gets patchy. It's not as noticeable at a normal distance away, but it still bothers me. It does help if you give each layer a bit more time than a second to dry though like I've been doing in the mornings. On a normal day, I just wear it really sheer and I actually quite like it. I consider olive shades to be a more fun neutral but I don't like it to be too pigmented/strong on a minimal makeup day or at work. I usually apply the Lidstars by dabbing a bit of product from the doe foot applicator onto my lids and then blending it out with my fingers. Once I get a good blended base of color on, I sometimes use the applicator directly onto my lids to to add more pigmentation to the area close to my lashline. I do have to scrape most of product off from the applicator before I do that last step though or else it just becomes a glob of wet product on my eyes. These are so long wearing and crease resistant that I don't even need to use a primer with them. They feel really light as well and won't bunch up and crack like other liquid eyeshadows I've tried like the Wet n Wild ones. They're easy to blend with just your fingers, but I still recommend doing quick tapping swipes to add more air into the product to make them slighty set and become tacky. By doing this, I feel like the color / product kind of grips to itself better to be more pigmented to a certain extent. You do need a makeup remover instead of using something like the Milky Jelly Cleanser to take these off. Cub is the prettiest and easiest shade out of the ones I got and I can see myself using it on my low maintenance days. I do not like how sheer these are but they're claimed as being sheer and being "less shadow, more glow" and so this is really a personal preference. 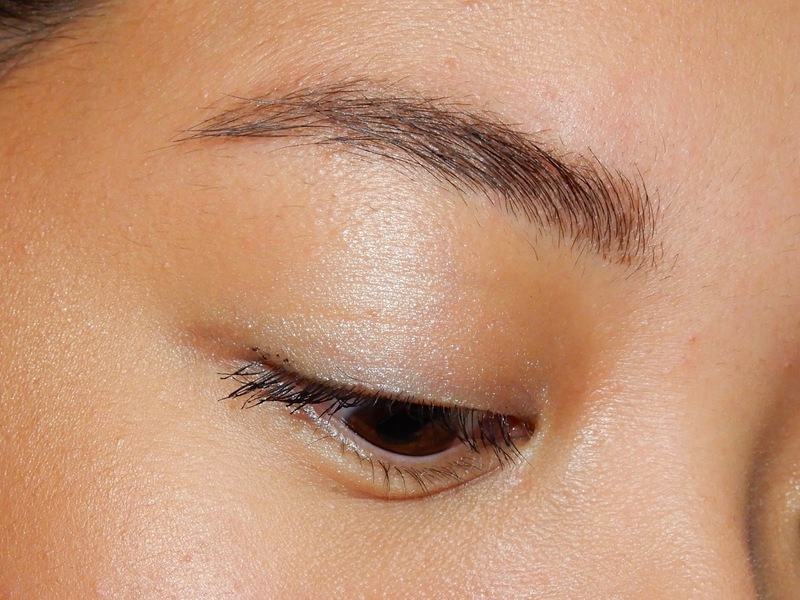 Yes, they're easy to blend out but they're also easy to blend into just some shimmer onto the eyes like Moon. I do want to emphasize that these two points are personal cons to me. If you've seen my Instagram, I like more pigmented eyeshadow looks. My daily go-to's are generally dark bronze shades as well if that gives you any kind of reference on why I'm not the biggest fan of the Lidstars. Final thoughts: I'm fine with low pigmented products but only if they're buildable. I'm definitely going to keep using Cub and Herb because even though they're more on the sheer end, they can be built up to give me some color. I might buy a bronze version of the Lidstars, but I'm honestly probably not going to buy anymore of these. I would rather invest money into the Stila Shimmer & Glows because they're so much more versatile. There was an error in my order and I ended up getting (and paying for) doubles of all the shades. Since I don't need back ups of these, I'll be giving away the second set through an Instagram giveaway! See the post below for instructions on how to enter. Good luck! [G I V E A W A Y] My @glossier Lidstar review post is now up #ontheblog ! Along with that, I'll also be giving away new tubes of Moon, Slip, Cub, and Herb. RULES (Open Internationally) 1. Required - Must follow my account (@haodoyoungo ), like this photo, and comment with your favorite makeup or skincare product. OPTIONAL - 2. Tag as many friends as you would like, but must list one friend per comment. Each comment is one entry and no celebrity or brand tags. 3. Regram this post for an extra ten entries. Tag me in the post and use the hashtag #haotowinglossierlidstars. One repost per entrant. 4. Share this giveaway in your stories for an extra ten entries. Tag me in story. . Disclaimer - This giveaway closes on April 8, 2018 at 12 AM and the winner will be announced in my stories by April 14, 2018. The winner will have to respond within 24 hours or a runner up will be selected. You must be 18+ to enter or have parental consent. This giveaway is not sponsored by Instagram or the brands. I had some Glossier credit, but it was an accidental duplicator order. No spam or giveaway accounts allowed. I am not responsible for the products after it has been shipped and I am not responsible for any adverse reactions you may have since ingredient sensitivity varies from person to person. By entering this giveaway, you agree to these terms.